Tarani Misro, a famous sand sculptor from Andhra Pradesh has made a sand sculpture of Bathukamma, the cultural and traditional festival of Telangana region of the state. 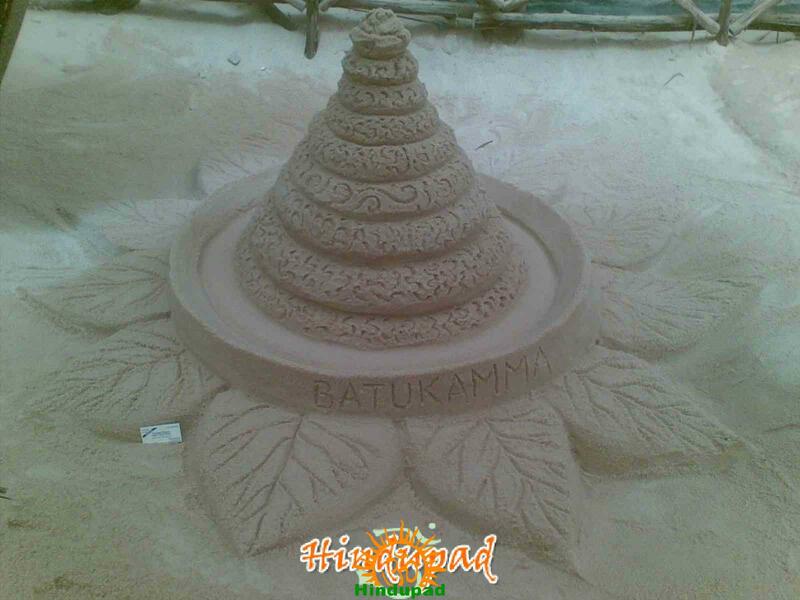 For the first time, a sand sculpture of Batukamma is made. Tarani also wishes all a happy Bathukamma festival. In most of Telangana regions, Bathukamma festival 2012 is celebrated on October 22 but in some places it is celebrated on October 23.
great sand art. bathukamma festival is biggest of telugu festivals.